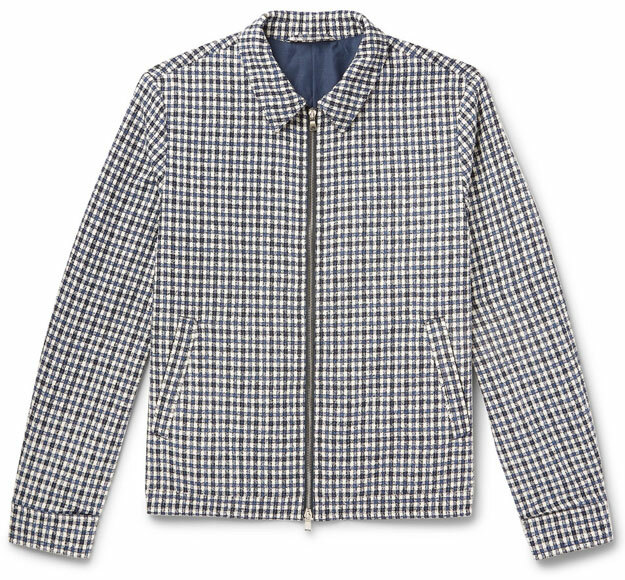 This is a lovely thing and also an in-house checked cotton-blend blouson jacket by Mr Porter. I think this is where the word ‘timeless’ comes in, as this could be from pretty much any era from the middle of the 20th century onwards. But it’s actually a new design from the Mr P label, which is the in-house design team from Mr Porter. It has a lot going for it, including the classic look with there minimum of detail. A mid-weight jacket with zip front (two-way zip fastening), two slant pockets, button cuffs and a good-sized collar. But where is stands out is via the cloth. 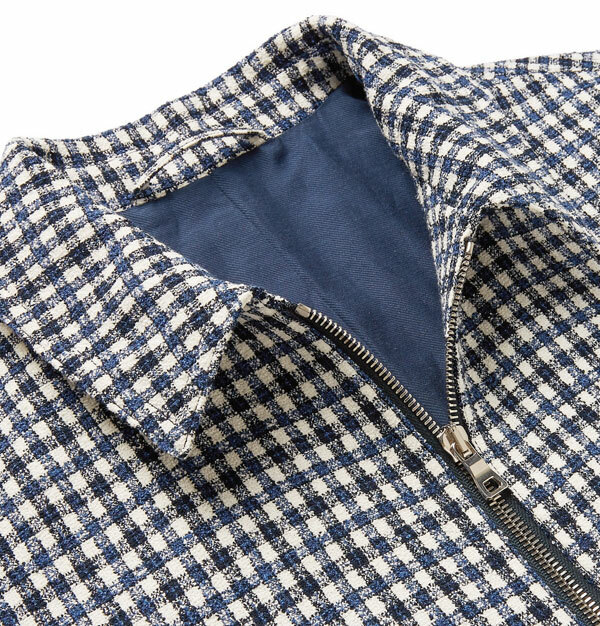 This is a white, midnight-blue and navy cotton-blend boucle cloth with a strong vintage look, which elevates this jacket from decent to really sharp. It’s also fully lined, so ideal for this time of the year. 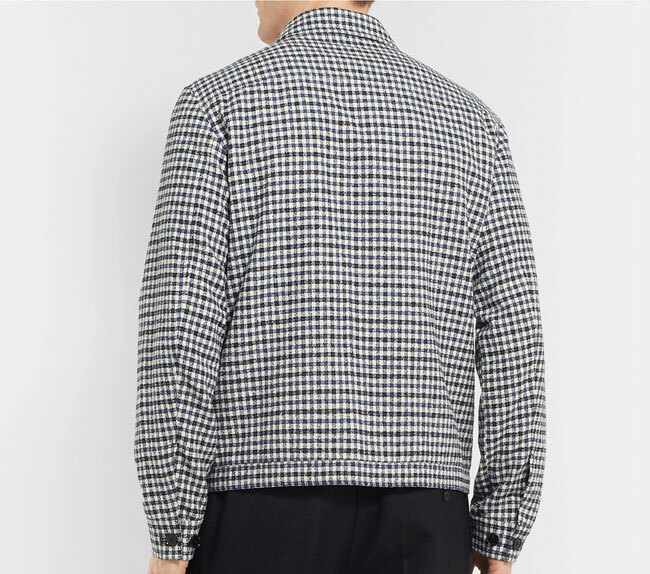 £275 is probably cheap for the checked cotton-blend blouson jacket by Mr Porter and compares well to buying something like a Baracuta Harrington. But it is still an outlay. Probably worth it if you can see yourself wearing this to death over the coming months.